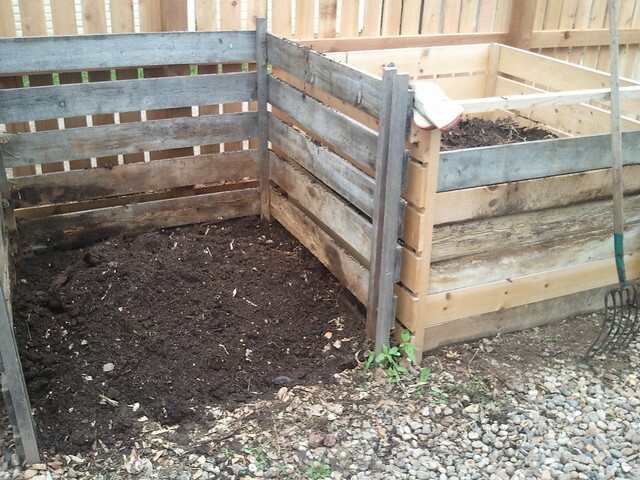 This morning I moved the compost pile from the old New Zealand box on the left into the new box on the right. Despite the cool weather, it's been cooking well and there's multiple wheelbarrow loads of mature humus for the garden. I'd be surprised if we're not reducing the amount of trash that goes to the curb by half. I've visited cities that have curbside composting pickup; Seattle has had it for several years and Montpellier was trying it out during our séjour last year. It was super convenient, but it's extra satisfying to be rendering our own stems, peels, cores, and grounds into our own soil. Nice work. Between composting and recycling each of the seven items our city accepts, my wife and I average about a bag of actual trash each week. Very satisfying when I see my neighbors lug a full dumpster to the curb each week.